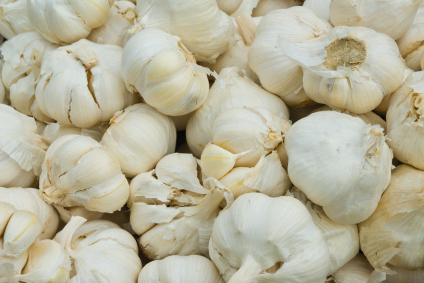 Garlic is one of those herbs that is easy to grow and winter hardy so it can be planted in very early spring along with cool weather crops such as lettuce, spinach, carrots and onions. To plant, split the cloves apart and bury each separately about one inch deep and six inches apart. Put a stake by each clove to mark its location, then just continue to water and weed the area. It will take about two years for each clove to develop into a full bulb.